The popular Diner Dash Series of games has had many additional games labeled under the heading of Diner Dash. One of those additions comes in the form of the 4th installment to the series called Diner Dash Seasonal Snack Pack. 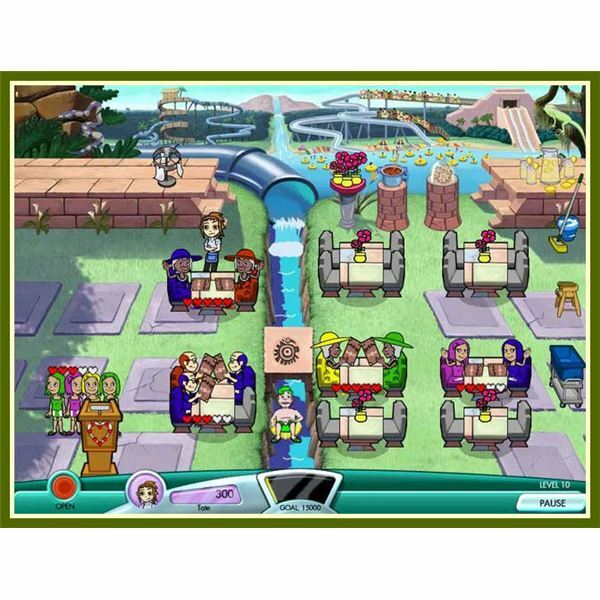 Snack Pack is another classic time management casual game that was developed by PlayFirst in order to keep their main gaming characters going and to build a series storyline. The adventures of Flo and Grandma Florence during their Hometown Hero days is the basis behind this seasonal installment to the game series. Here we look at the overall game play in this diner dash season snack pack walkthrough. Having just completed their work in fixing up the town in Hometown Hero, Flo and Grandma Florence decide to take a drive through Diner Town. 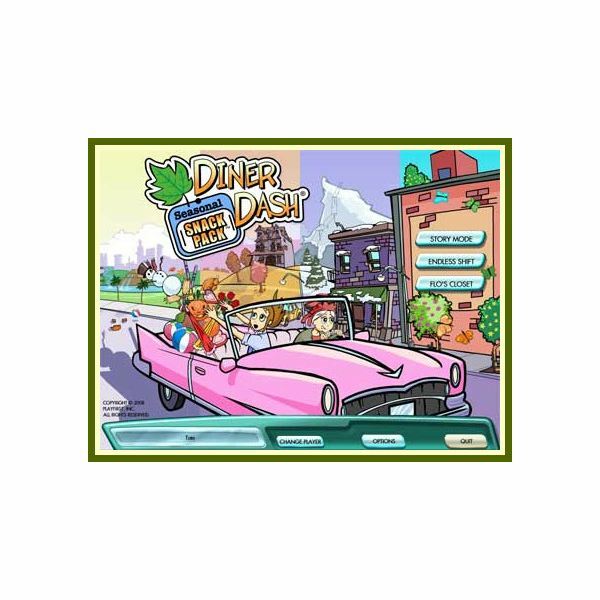 During their drive, they think back on the good times and hard work that was done through the first three games in the Diner Dash series. For more information on the Hometown Hero installment of the dash series, see Diner Dash Hometown Hero. The trip down memory lane leads our main characters to five new restaurants, four with a focus on the four seasons and one that takes them back to the diner. For this diner dash seasonal snack pack walkthrough we can list the seasons that stand out the most during standard game play. The two most challenging and interesting seasoned themed restaurants are the Summer and the Fall ones. The Summer theme takes place in a water park complete with a stream running through the middle of the dinning area, while the Fall theme takes place on a farm where customers are seated on hay bales for chairs. In the iimage to the right, you can see what the Summer themed Coral Cafe looks like when the river from the water park floast people down the middle of the dning area. Click on the image to get a better view. There are additional levels in this game that can be unlocked. The secret levels can only be unlocked by achieving an expert score in all of the seasonal levels of game play. As far as general game play, this diner dash seasonal snack pack walkthrough is close to many of the dash series groupings of information. You play the main character of Flo who seats the customers, takes their orders and then serves them as fast as you possibly can. The faster the service and the better that each customers satisfaction rating is then the closer you will get to reaching that expert level and unlocking the secret levels at the end of the game. For more information on this series of games, start with the original and check out the Diner Dash General Walk Through. *all images used were provided by and ©2005-2010 PlayFirst, Inc.